NEARLY NEW COUNTRY CHARMER. Come take a look at this home built in 2011 with bright and airy interior spaces. The kitchen has a large pantry, island sink with seating area, commercial style stainless steel appliances, small appliance garage and a tile back splash behind the stove set off by a contemporary, chimney style, exhaust hood. All the doors are 4 panel solid oak 36" width. The bathroom has a full tile walk in shower. There is a walk in closet in the large rear yard facing master bedroom. The main floor laundry room offers ample space for the front loading washer and electric front loading dryer on pedestals with a protective counter top and more room for storage. 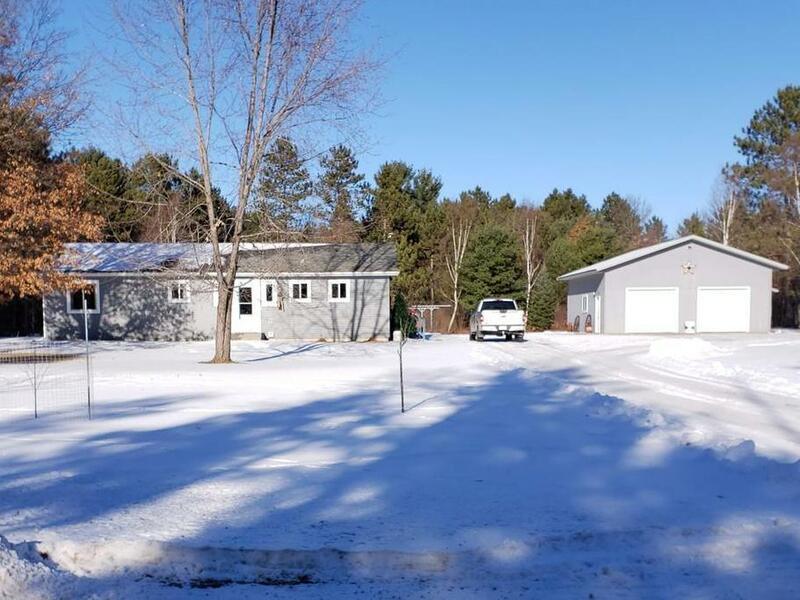 A detached garage 30 x 34 built in 2003 is insulated, has the main electrical panel, an additional 8x12 room that is off the garage with shelving and could accommodate a furnace if you would like to heat this space in the future. There is also a water hydrant for easy clean up. Plus another shed with two lean-to&apos;s.